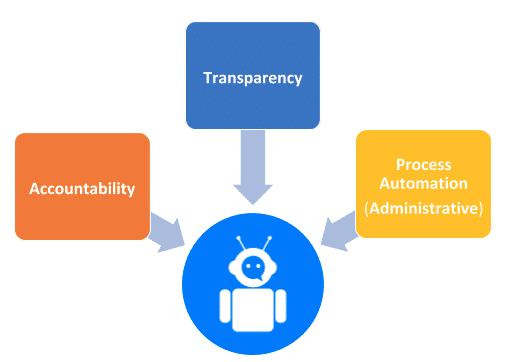 At Kyruus, we relied on three core principles throughout our journey of adopting chatbots into our value proposition for health systems—process automation, accountability, and transparency. We need to record the entire conversation between user and chatbot to understand user responses and recommendations of providers and appointments. We use this data for training purposes to improve quality of subsequent interactions and user experience. We must also record the conversation in the event the user chooses to or needs to be handed off to a human agent. Our overall goal in doing this is to minimize the amount of information the user needs to provide again to the human agent. Regulations require that we understand why specific triage decisions were made. Clinical appropriateness of the provider is essentially “hard-coded” into our routing engine as the first and most important criterion for patient routing. Provider matching and scheduling recommendations cannot be a black box, we must be able to trace back the reasoning. We want users to know they are interacting with a non-human chatbot, and we leverage Natural Language Understanding (NLU) and Natural Language Processing (NLP) techniques that help with anthropomorphism (i.e., modeling human characteristics in non-human objects) to improve quality of conversation. A user will always be able to end a conversation with a chatbot and reach a human agent. In the design of your chatbot integration, we aim to provide a great user experience but don't compromise and leverage AI techniques to present your chatbot as a human agent. Another important step, which is often overlooked, is to establish measures of success or key performance indicators (KPI) for the chatbot integration. KPIs ensure that leveraging chatbot technology serves business objectives. A key performance indicator we use at Kyruus is the ability for the chatbot to understand patient intent and successfully complete the patient’s request autonomously without having to resort to routing the patient to a live, human agent. While the specific guiding principles may vary based on your business goals, it is essential that you develop them as they facilitate alignment in the design and development of chatbot capabilities. Interested in learning how your health system can utilize chatbots to improve patient access and enhance the patient experience? Read the first blog in our chatbot series—Leveraging Technology to Meet Consumer Expectations.